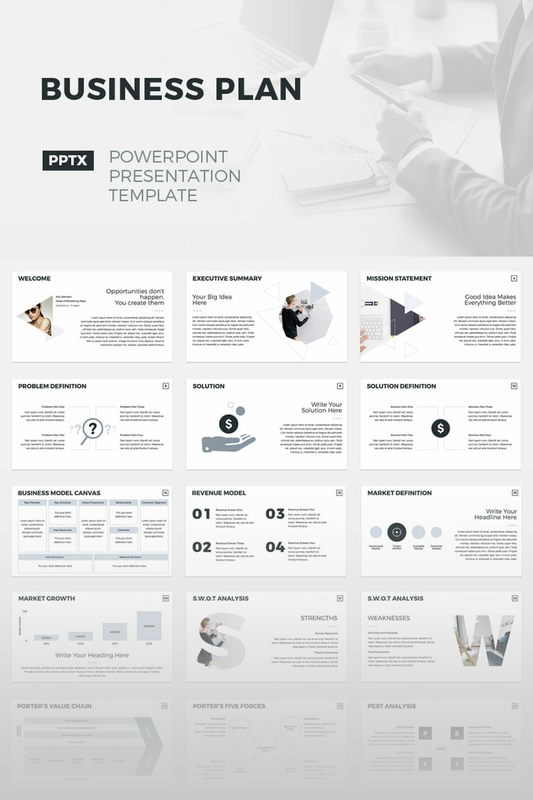 Business Plan template is great way to create a roadmap for your business that outlines goals and details how you plan to achieve your business goals. 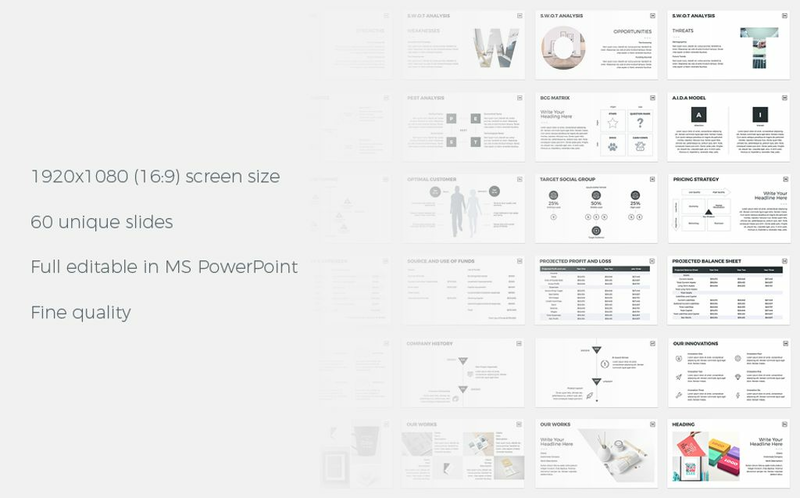 Template includes popular business and marketing models done in good minimal design. Big typefaces and contrast colors will allow to focus on your data and final analysis. This template just made my life so much easier! The easiest way to create a professional business plan without putting hours and hours on the details that makes yours stick out.